Today Only! Mike Geary presentation at Austin Orvis Store! Today is the day that Mike Geary will be on-hand at the Austin Orvis store starting at 2:00 p.m. to talk about our Montana Fly Fishing Vacations – Healing Waters Lodge and Smith River 5-day floats. The address and phone number for the Austin Orvis Store is 10000 Research Blvd, Austin TX, 512-795-8004.
Who is Mike Geary? The owner of Healing Waters Lodge and Lewis & Clark Expeditions. The Lodge is located in southwest Montana near the town of Twin Bridges and has easy access to miles of private spring creeks, meadow streams, and ponds; and, rivers such as the Beaverhead, Big Hole, Jefferson, Madison and Ruby, walk-wade and floating opportunities with our excellent guides. We offer, great food, clean and comfortable lodging, guided fly fishing and stellar views in the heart of the beautiful Ruby valley. 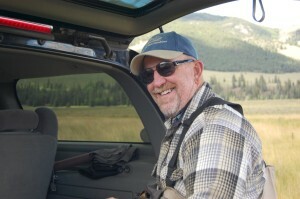 Mike also owns, Lewis & Clark Expeditions, and is the largest fly fishing outfitter on the Smith River in Montana. Our Smith River Montana fly fishing vacation package: 5 days of guided float fishing with 4 nights of safari style camping, down 59 river miles from put-in to take-out. Your guide floats you downstream, 8-12 miles a day, and you arrive at camp in time for hors d’oeuvres, beer and wine and other refreshments, followed by a freshly prepared gourmet dinner. Relax around the campfire under the stars. The next morning our staff prepare a hearty breakfast and then you are off again with your guide for another day of fly fishing. Mike Geary is the man with a plan for a great fly fishing vacation in Montana. He is looking forward to meeting you at the Austin Orvis store, TODAY!